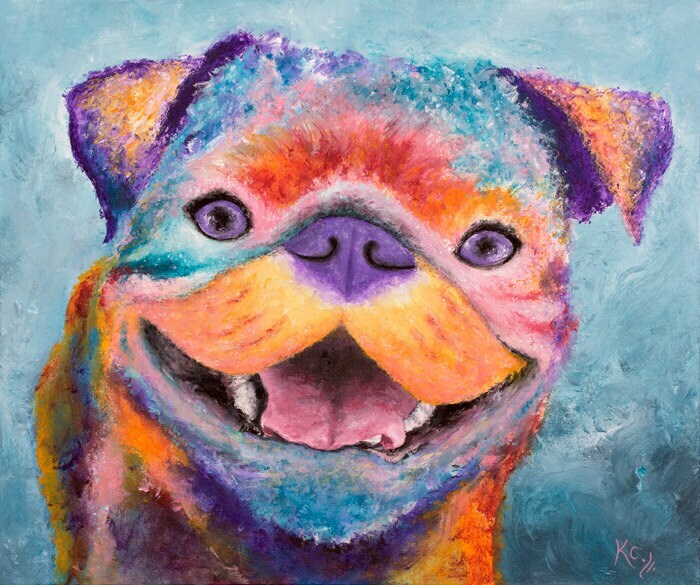 Original pop art pug painting. 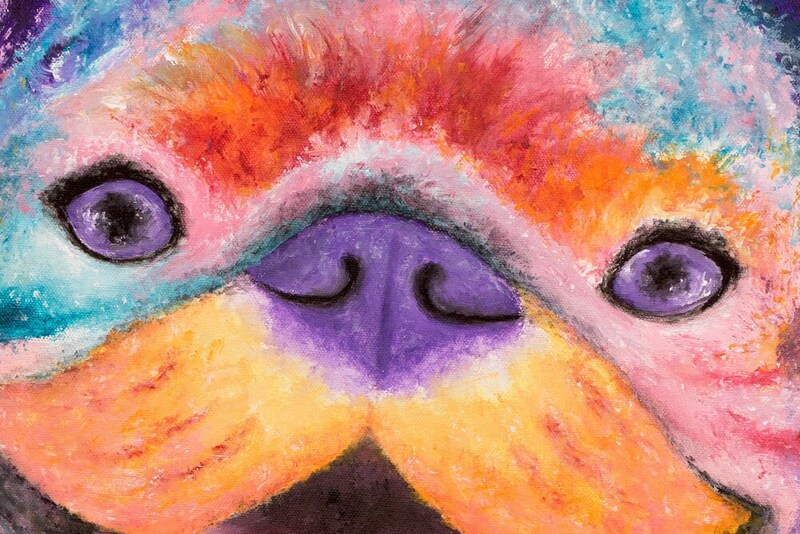 “George the Pug” is a colorful pug portrait of a cute dog named George. 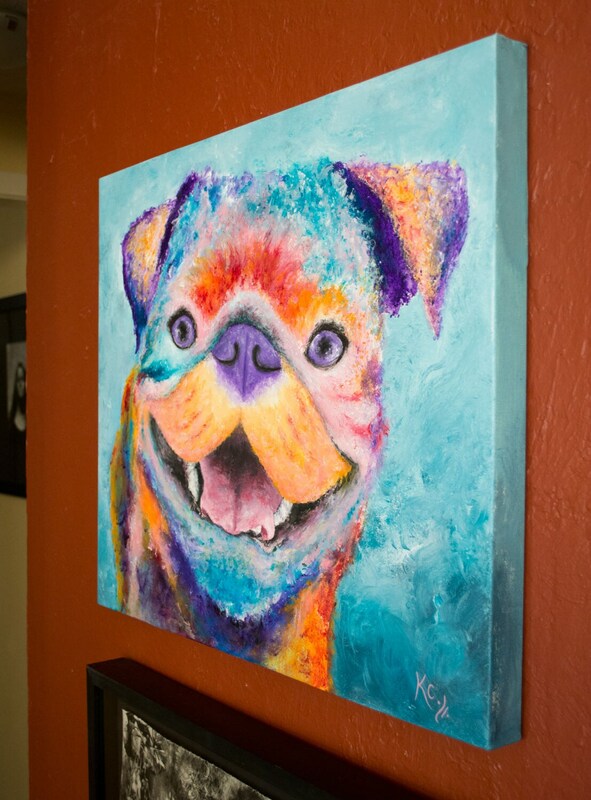 The size is 20 inches by 24 inches by 1.5 inches, and the medium is acrylic on canvas. The painting is signed on the front, and it comes with a certificate of authenticity. 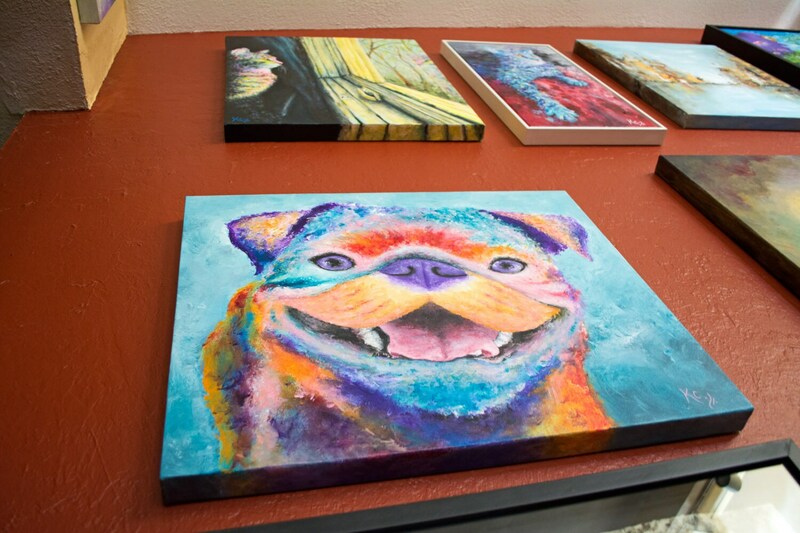 The painting is also wired, the edges/sides are painted, and it is ready to hang on your wall.